A colonial house is a style of house. There are many of these throughout the United States. They typicially have a symmetrical design (i.e., windows, roof, garage). 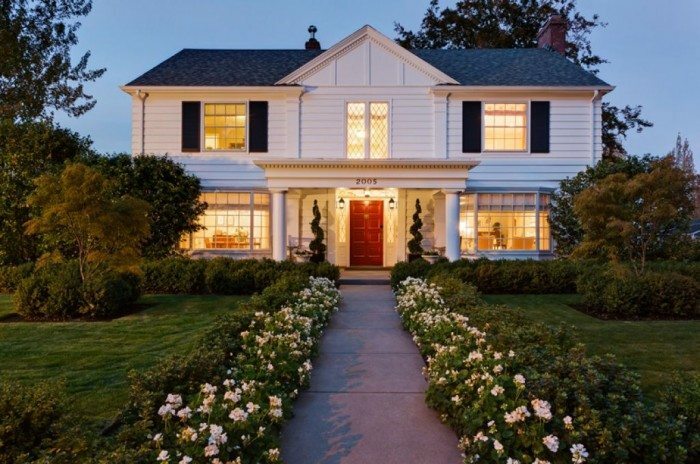 The Colonial Revival was a nationalistic architectural style in the United States. In the early 1890s a time when manifest destiny was at its peak Americans began to value their own heritage and architecture. Colonial Revival sought to follow the style of the period around the Revolutionary War. Distinctive in this style are multiple columned porches, and doors with fanlights and sidelights.